These are 7 of the 11 eggs I am incubating. The large lonely egg is Saturn's clutch mate, Sunrise (hatched June 11th). 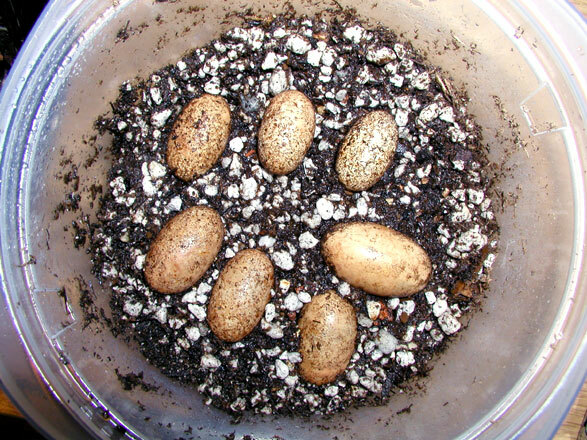 Female geckos lay two eggs at a time every few weeks. Leopold started laying eggs in the beginning of March, and hasn't stopped; Calico has been laying less frequently, and most of the eggs are from Leopold.